Should You Avoid Using Moisturizer At Night To Let Your Skin Breathe? Should I occasionally skip putting on a night cream to give my skin a break? Updated 3/3/18. 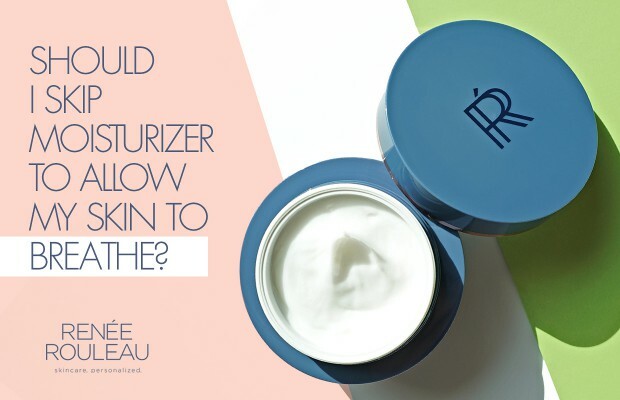 I get this question a lot and the answer is no, you should never avoid using moisturizer to let your skin breathe. This is a common misconception and not a good habit to get into for these two reasons. 1. Your skin doesn’t perform the function of respiration, so the concept of your skin breathing is actually false. 2. Skin cells are like fish and need water to live. Without it, your cells dehydrate and the health of the skin is severely compromised. It will set off an irritation response that leads to redness, dryness, sensitivity which is never good. Okay, so let me say that the word “breathe” can have different meanings to different people so I’m using it in the actual sense. When some people talk about skin ‘breathing,’ they’re usually referring to whether the skin is occluded or not. Meaning, they don’t want something blocking up their pores. The easiest suggestion for that is, don’t use something that will cause that. When choosing and using a moisturizer, follow these tips. Always select a moisturizer for your skin type. 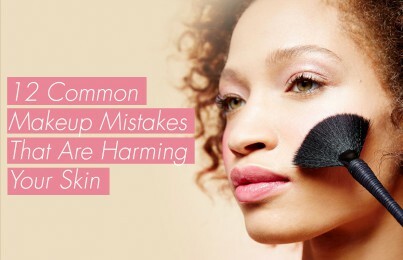 Choosing a cream for the basic skin types of dry, normal and oily won’t get you very far—especially if you have additional concerns such as clogged pores, breakouts or rosacea. Look at these nine skin types to see which one sounds most like you. At night, never use a moisturizer that contains sunscreen. Some people fall into using one lotion both morning and night and if it has sunscreen in it, it’s not going to get you very far while you sleep. 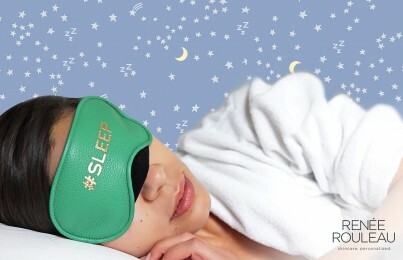 The needs of your skin are different at night then it is in the day so you need to treat it correctly. However, if you’re really going to insist on using only one, then certainly something with sunscreen will be best since the sun is the #1 cause of premature skin aging. Don’t be afraid of oil in moisturizer. If you have oily skin and you pick up a jar or tube of moisturizer and see an ingredient with the word “oil” in it, you might hesitate to buy it. I often hear, “I can only use oil-free products.” It’s important to know that virtually all creams and lotions use some form of oil or emollient to make the product slip across the skin. Otherwise, a moisturizer would be in a powder form. However, not all oils are comedogenic and pore-clogging. Secondly, wearing moisturizer does not directly cause breakouts. Acne occurs when the cells that line the inner pores fail to shed properly and the pore becomes clogged. This process happens whether or not you use oil-free products. Ultimately, choosing the correct products for your skin type is what will guarantee the best results. Take this Skin Type Quiz. Never skip your nighttime skincare routine. I know it’s the end of the day and you’re super tired but you really need to trust me on this one. Your skin truly needs tending to. You have a day’s worth of oil, dirt, bacteria, makeup (and who knows what else!) on your face. Read five reasons why you need to wash your face at night. In summary, don’t avoid using moisturizer at night thinking that you’re doing something helpful for your skin. Your skin needs all the protection it can get at all hours of the day and night. Is wearing foundation makeup every day bad for the skin? Should you skip using it to give your skin a break? I answer that here.